Gary, Jen, Courtney, Adrian and guest coaches are PMBIA certified bike coaches and hand selected because of their unique abilities to embody School of Send values. Each is professionally trained in anatomy, physiology, CPR, and first aid. Before starting School of Send, Gary spent five years as a ski race coach and spent the last two summers as the director of a mid-sized mountain biking camp. He's raced mountain bikes professionally and works as a personal trainer, trail builder, and private bike coach in Hood River, OR. 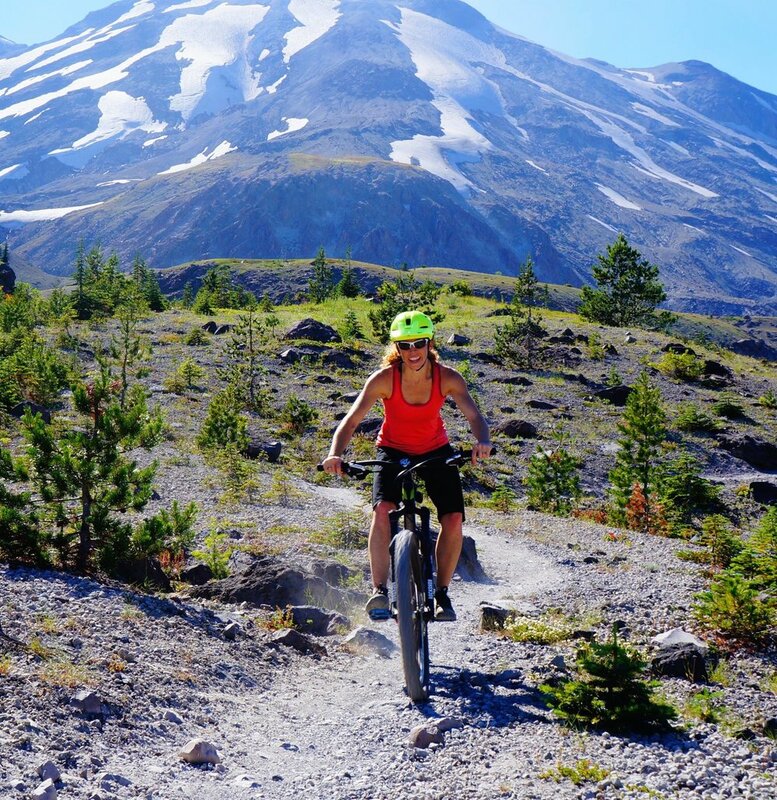 Is an avid mountain biker whose very first ride was on the McKenzie River Trail, all 26 miles of it! She was instantly hooked. For the last 8+ years, she has ridden her bike as much as possible. When not on the trail, you can find her teaching English classes at the community college, in the dance studio leading Zumba, or completing her doctoral studies. She is stoked to combine her knowledge as an educator with her skills and passion for mountain biking as a coach for School of Send. Adrian grew up in Bend, Oregon riding bikes of all types. While riding singletrack is his main love, you’ll find him with a smile at the skatepark, racing cyclocross, knocking out DH laps or big scenic road rides. When Adrian isn’t riding a bike, he’s usually working on one (a former full-time bike mechanic) or building something to ride (the backyard pumptrack probably has more digging-hours that riding-hours).